Ken Vandermark, in one of his road diaries last year (available on his Facebook and Instagram pages), wondered about the unique chemistry he has with Dutch guitarist Terrie Hessels - known also as Terrie Ex - his comrade in the quartet Lean Left. Hessels is a self-taught musician, founding member of the group The Ex, the head of Terp Records, which present new and vintage Ethiopian music as well as his improvised music. Hessels is not bothered by narrative solutions and instead opts for a series of apt provocations (and anyone who have seen Hessels plays live already experienced his wicked tricks), an improvising methodology that often circumvents the conventions of narrative expression entirely. As if Hessels adopts a secular interpretation of the Buddhist concept of Suchness, therefore A isn't even A to begin with, so it can't be "vs." anything, it just IS. 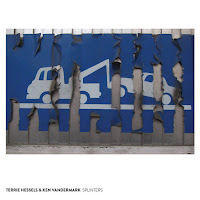 The following duos of Hessels with close comrades, puts Vandermark's insight to the test. 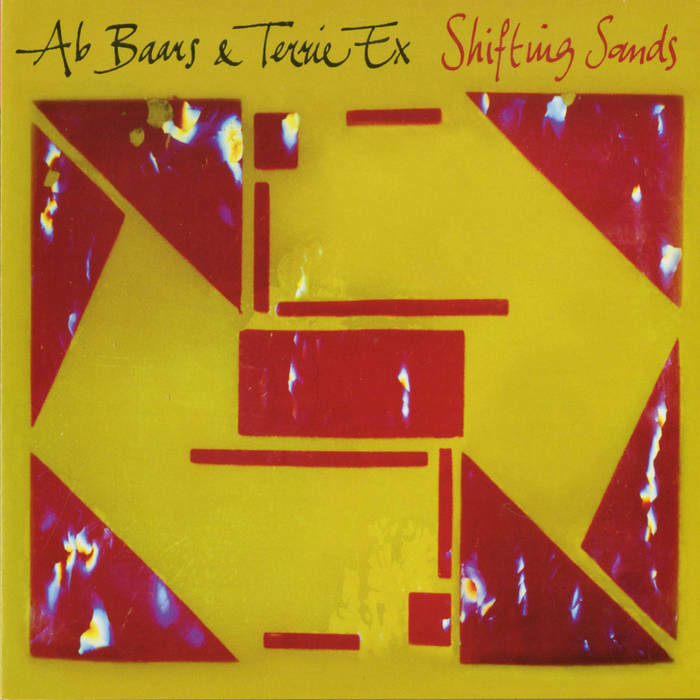 Shifting Sands may look like is a meeting between two opposites - Baars, the elegant, soft-spoken and well-mannered gentleman and Ex, the former punk who acts like an outlaw who mocks any convention or norm. But there is more to the picture than such superficial images tell. Baars and Ex already recorded a duo album more than sixteen years ago, Hef (Terp, 2000) but their musical bond spans almost thirty years. 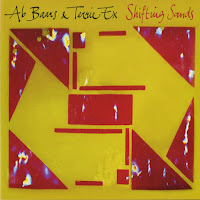 Baars guested on The Ex albums (Joggers and Smoggers and Instant, Ex, 1989 and 1995), participated in an ad-hoc collaboration between the Sonic Youth, The Ex and Instant Composers Pool (ICP) (In the Fishtank 9, Konkurrent, 2002) and guested in Lean Leaf performances (Live At Café Oto - Day One, Kollaps, 2012) and the ones of The Ex Brass Unbound. 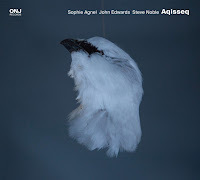 Both Baars - who plays here the tenor and soprano saxes, clarinet and the shakuhachi - and Ex are resourceful, highly inventive improvisers and apparently eccentric and quite stubborn characters. Even though both know each other quite well they still manage to surprise. The ten studio pieces, recorded on September 2015, sound as playful, witty dialogues, where both Baars and Ex attempt to outsmart the other’s thread of thought with playful and urgent ideas, sometimes even tease the other with an outrageous and totally provocative gesture. Still, the dynamics are emphatic, as an argument between loving friends that never gets out of hand, even in the most heated moments. Baars and Ex manage to express serene, Zen-like meditations on “Blow Hot and Cold” and the minimalist “Transmogrify”, sketch beautiful and reserved, poetic soundscape on “About-face” and suggest, a twisted yet catchy song on “Zij Toch Raar?”. Ex and Nilssen-Love began playing together about ten years ago, first in Mats Gustafsson and Jim O’Rourke’s project Original Silence (The First Original Silence and The Second Original Silence, Smalltown Supersound, 2007), later on the short-lived trio OffOnOff (with Zu’s bass player Massimo Pupillo, Clash, Rune Grammofon, 2007) and solidified their musical bond in the Lean Left quartet (first presented as The Ex Guitars Meet Nilssen-Love/Vandermark Duo). Unlike Original Silence and OffOnOff, Lean Left is a working groups that already has released six album (the seventh one is due to be released soon). Ex and Nilssen-Love continued their extracurricular activity also outside the quartet. Schobberdebonk is their third duo album, following Hurgu! (PNL, 2011) and Gored Gored (Terp, 2013), and was recorded live at festival PiedNu at Le Havre, France on April 2015. 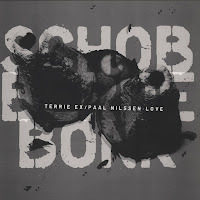 Ex and Nilssen-Love offer a different dynamics than the one of Baars and Ex. Nilssen-Love knows how to employ Ex great skills as a rhythm guitarist, his role in The Ex. Ex is a rhythm guitarist with highly imaginative concept of rhythm and time like no one else, but nevertheless, one that thrive on a hard, massive pulse, exactly the kind that Nilssen-Love keeps feeding him. Ex does not surrender easily to Nilssen-Love rhythmic attacks. 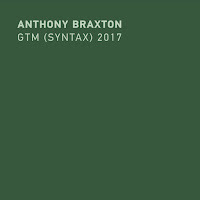 He tries to suggest abstract, minimalist soundscapes, counter the pulse with loose strategy of tension building, color it with weird noises or suddenly steer it to other directions. But, finally, he interlocks with Nilssen-Love powerful blows. Then the two are simply irresistible. Nothing can stop their wild ride that ends, true to The Ex legacy, with a quote of an Ethiopian dance. 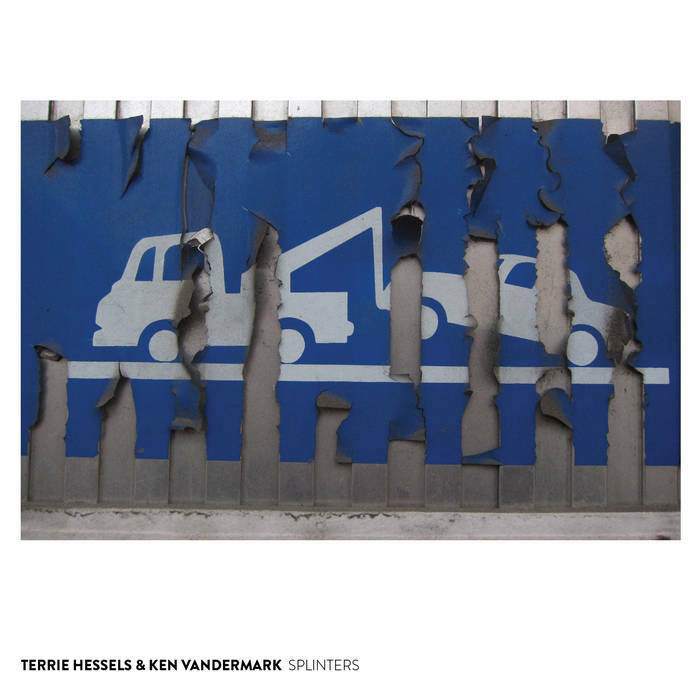 Vandermark's collaboration with Hessels is far more expansive than the free-improvising Lean Left quartet. Vandermark played in The Ex's tours with the late Ethiopian sax hero Gétatchèw Mèkurya, and toured with The Ex Brass Unbound and The Ex as their unofficial fifth member. The first three, shorter duets on Splinters were recorded at the Viennese club Blue Tomato on November 2015 and the fourth, 36-minutes one was recorded at Temporary Art Centre Eindhoven on September 2014. The four pieces are sonic metaphor of Splinters in a different languages: “Eclats” (French), “Astillas” (Spanish), “Hahen” (Japanese), and “Splitter” (German). Vandermark's assertion about Hessels is almost self evident here. 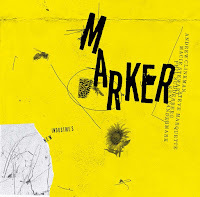 Vandermark likes to build a distinct momentum on every piece, even on the looser pieces, through repeated phrases and gestures and often gravitates towards driving rhythmic patterns. 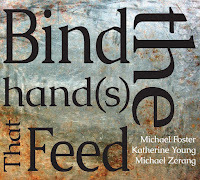 Hessels has a completely different way to connect with Vandermark's narrative, actually, many ways. 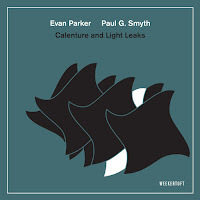 Sometimes he sounds as an doubtful commentator, on other times he is a comic provocator and on most times he just crisscrosses Vandermark's linear path with sudden, chaotic detours, still, immediately answering Vandermark's ideas with his own concepts of rhythm and form. Strange as it may sound, Hessels and Vandermark connect in a very profound and powerful way. After playing and spending so much together they know each other inside out, and despite their totally contradicting improvisation strategies their interplay is natural, open, and rich with arresting sonic ideas, as if the whole is greater than the sum of their strategies. See also Eric McDowell's review of Splinters here.